I’m just…in awe, and that’s how awe sounds. I don’t know how to feel this much love for someone. It hurts to love her this much. And yet I wouldn’t trade this moment even to cleanse my blood of my father’s poison. UNLOVED is the story of one EPIC romance between two would be ”star-crossed lovers”. I was captivated from the very first page and was so completely consumed by this beautiful story that I devoured it in less than a day! Katy Regnery’s writing is simply EXQUISITE. I found myself mesmerized by her written words, so much that I practically highlighted about 90% of this book! I think this may just be my most favorite Katy Regnery book! BRAVO!!! Brynn Cadogan and Cassidy Porter come from different worlds but they are in some ways the same, and it’s as if the fates were determined to bring these two lost souls together. Brynn has suffered a devastating loss and for the past two years, her overwhelming grief has caused her to close herself off from the world. Something she finds from her painful past has given her a new sense of purpose. Brynn is finally ready to move on from her grieving, but she must do it across the country in Maine, in one of the most dangerous mountainous terrains called Katahdin. While on her journey to lay her past to rest, Brynn’s life is threatened by a psychotic hiker but luckily for her, a “guardian angel” was nearby and he saved her from certain death. Cassidy Porter has lived in his grandfather’s remote cabin in Katahdin almost his entire life. His “tainted” bloodline has kept him closed off from the outside world partly due to prejudice and also for fear of the evil that lives in his genetic makeup. When he hears Brynn’s cry for help he doesn’t hesitate to come to her rescue and with an enormous amount of trepidation he decides to take her back to his cabin to nurse her back to health. He’s been alone for nearly a decade after both his mother and grandfather passed, and he’s never been in the presence of a woman. Cass is mesmerized by Brynn, but he knows that he can never live a normal life with her and that she’s better off without him. As he nurses Brynn back to health their feelings for each other intensify and a love like they’ve never imagined blossoms between them. Cass won’t allow Brynn to tie herself to him. He’s adamant that once she is fully recovered in a few weeks that she must go back home. Out of desperation, Brynn proposes that they enjoy the limited time they have together with no “strings attached” and no expectations. But once they give in to the passion burning between them, will it be that easy to say goodbye at the end of their three weeks together? 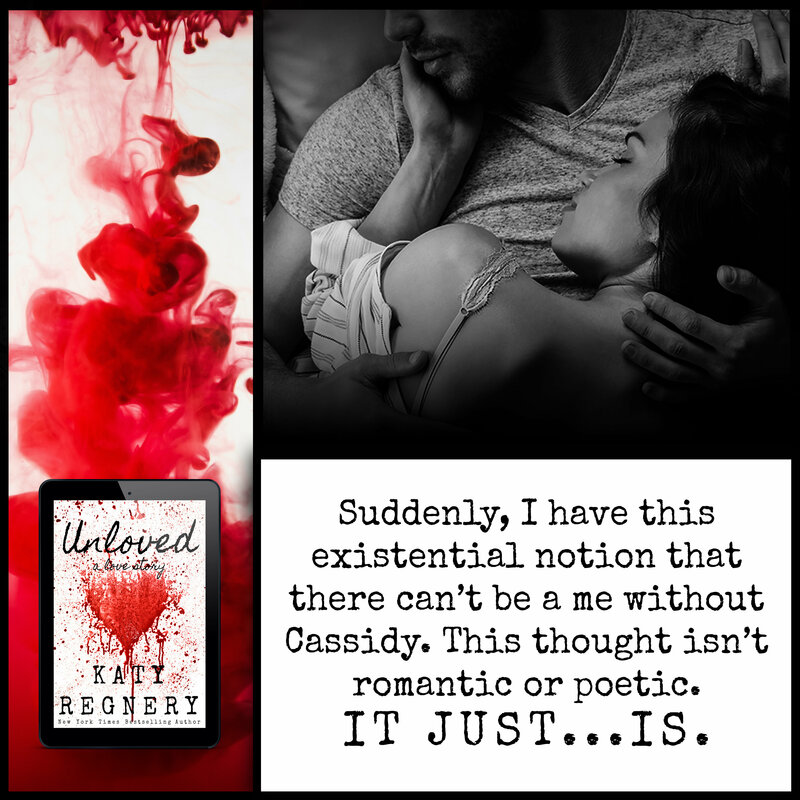 Cass is one of Katy Regnery’s most charismatic and endearing Hero’s by far. Readers are sure to fall deeply in love with him and this story! I can’t say enough just how AMAZING this book is!! 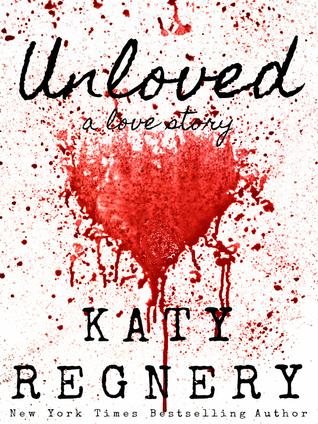 UNLOVED is currently available! This is a DEFINITE MUST READ!! One-click NOW!